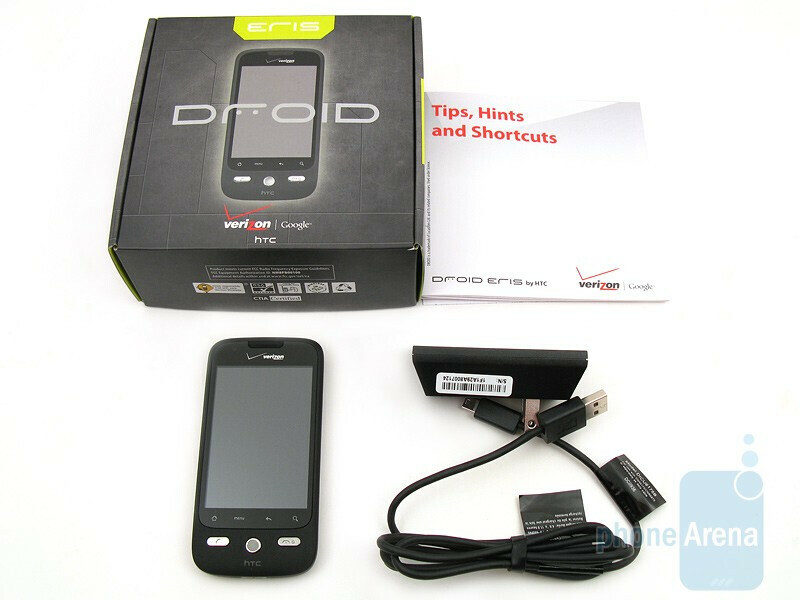 Not only did Verizon introduce the Motorola DROID earlier this month, but also the HTC DROID ERIS, as both are the first two Android-based devices for the wireless provider. While the Motorola DROID is getting most of the attention right now, and has a higher price, the HTC DROID ERIS is not to be dismissed, as it offers a lot, including HTC’s Sense UI, which adds a user-friendly layer above the stock Android 1.5 interface, similar to TouchFLO 3D on their Windows Mobile phones. In many respects, the HTC DROID ERIS is a close cousin to the HTC Hero on Sprint, as both have similar hardware specifications, including a 3.2” capacitive touchscreen and 5MP autofocus camera. In a world of smartphones, and as competition grows, it all comes down to personal choice and price. Included in the retail box is the HTC DROID ERIS phone with a preinstalled 8GB microSDHC memory card, 1300 mAh battery, wall charger with detachable miniUSB cable, and user guide. 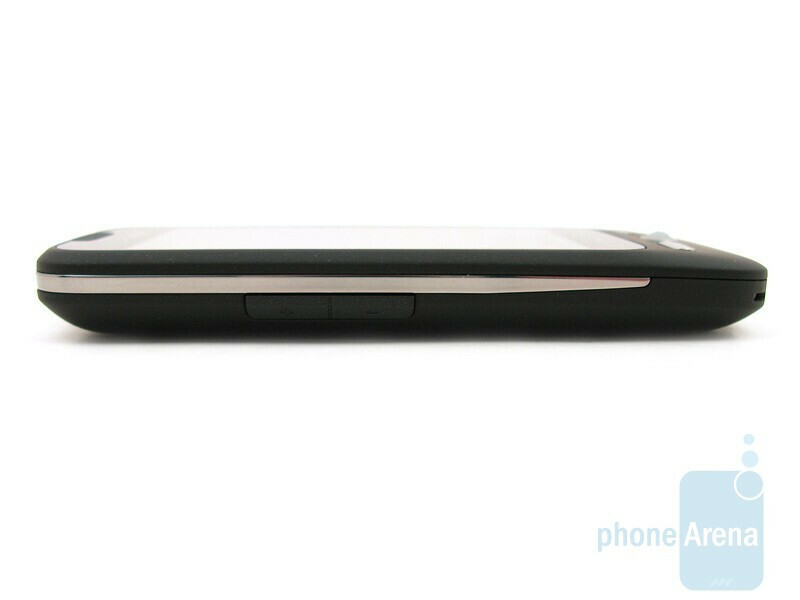 Unlike the original GSM variant of the HTC Hero, which had a protruding “chin” at the bottom, both the CDMA Hero and DROID ERIS lack this, which makes it sleeker and more attractive. 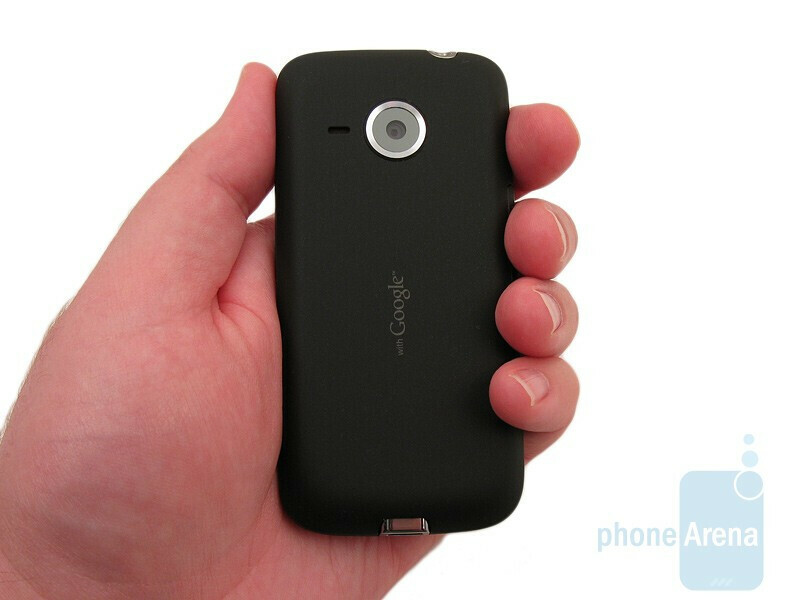 The DROID ERIS has plenty of soft curves and is covered head to toe with a black soft-touch coating over plastic construction, in contrast to the defined corners and metal construction used by the Motorola DROID. Because of these differences, the HTC DROID ERIS feels less “square” when holding it and not as heavy as the Motorola DROID. As they say “Beauty is in the eye of the beholder”, but we believe the DROID ERIS to be the more eye-appealing device between the two, based on appearance. Though we also believe that the metal construction and added weight of the Motorola DROID make it feel like a higher-end device. You can compare the HTC DROID ERIS with many other phones using our Size Visualization Tool. 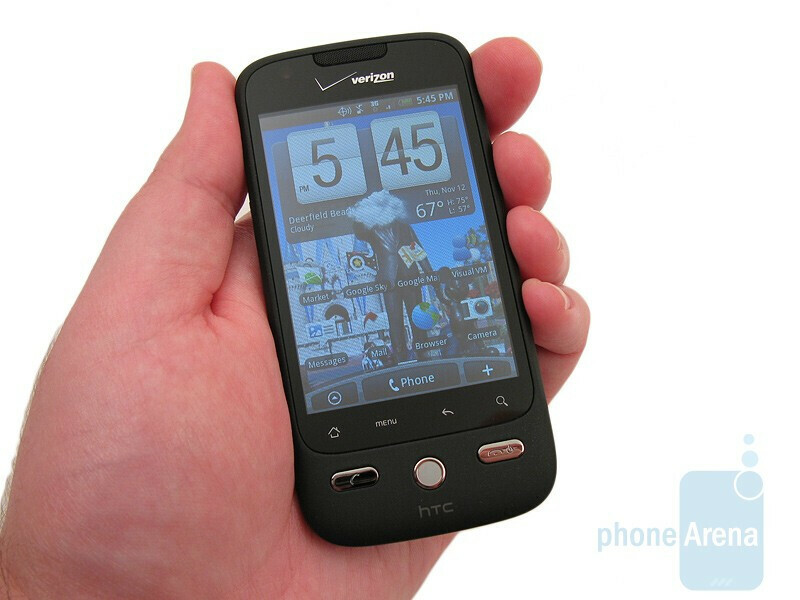 The HTC DROID ERIS retains the same 3.2-inch capacitive touchscreen with 320x480 resolution that is found on Sprint’s HTC Hero, but color support has been increased from 65K to 262K. The sensors above it will also automatically adjust the backlight based on the surrounding light level, and turn the display off when it’s next to your face during a call. 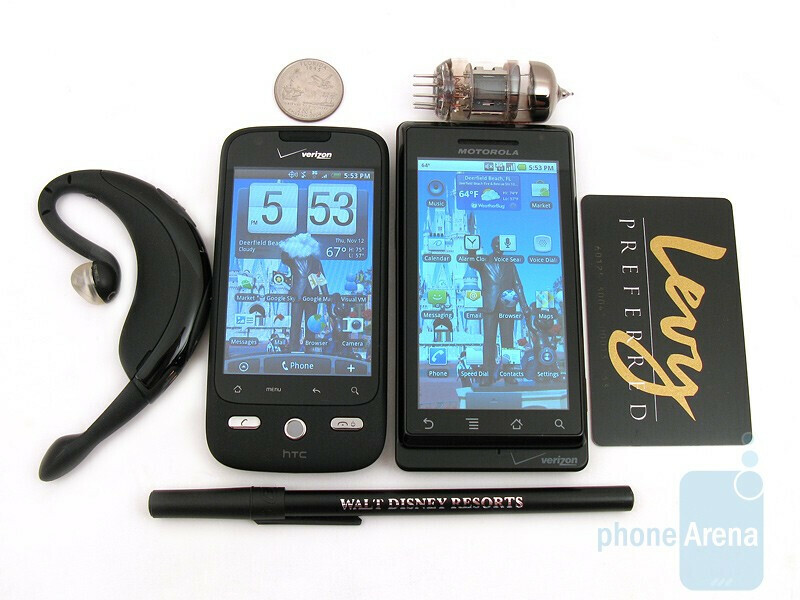 When comparing the display found on the HTC DROID ERIS next to the Motorola DROID, the difference is significant. Not only is the display on the Motorola DROID larger (3.7”) and higher resolution (480x854), but it also supports 16M colors. 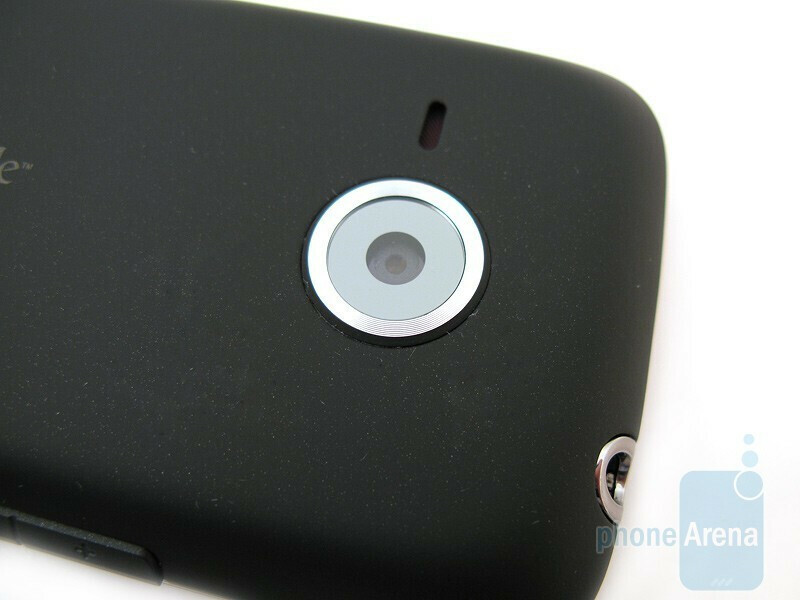 Because of this, you can clearly see the differences between them, as images on the Motorola DROID look truer to life and are clearer without any pixelation. We also noticed that when using the devices outside during the day that the screen on the Motorola DROID was brighter and easier to view, while the HTC DROID ERIS wasn’t as bright. We tried both the automatic and manual brightness settings, but it didn’t make a noticeable difference. On the lower portion under the display are capacitive touch-sensitive buttons for Home, Menu, Back, and Search. We’re not sure why the DROID ERIS has them as touch-sensitive, where on the Hero they are mechanical, except to be more similar to the Motorola DROID. Under those are the standard physical buttons for Send and End/Lock/Power, and with a small trackball in the center. The only buttons on the side are to control the volume. 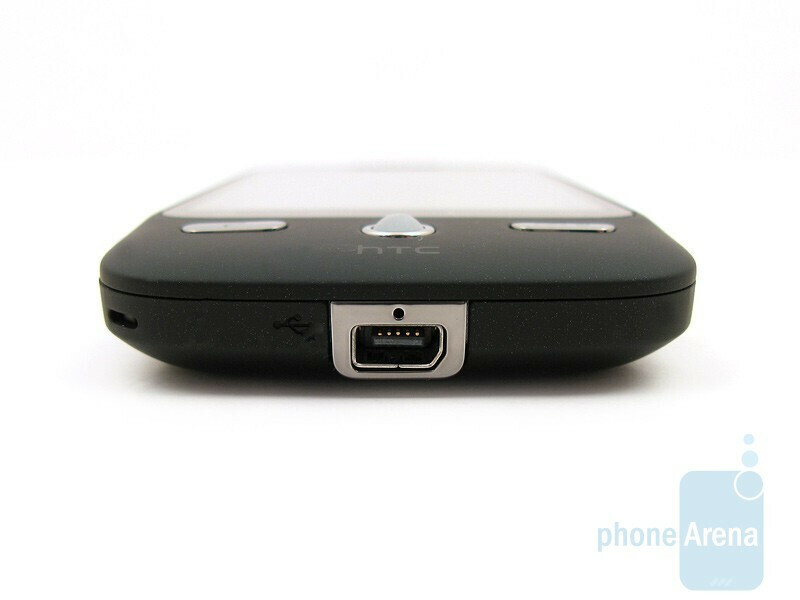 On the top there is a 3.5mm headset jack, with the 5MP camera on the back, and miniUSB port on the bottom. You have to remove the battery cover to access the microSDHC card slot, which comes with an 8GB card preinstalled, but supports cards up to 16GB in size. 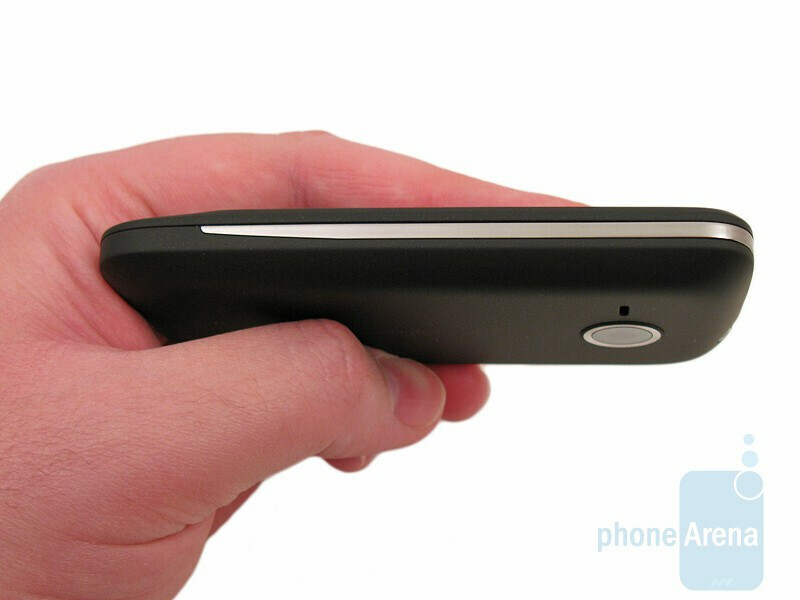 Naturally, the sliding QWERTY keyboard is one significant difference between the Motorola DROID and HTC DROID ERIS, so you should take that into account when demoing the phones. Even though the HTC DROID ERIS and Hero are similar in most respects, we like the overall look of the Sprint Hero more, due to the silver/gray color, larger trackball, and physical buttons for home, menu, back, and search. The passion or dragon whateva can't come soon enough, hopefully there is an android htc device with physical keyboard somewhere not far down the road. How can you make a negative that it doesn't compare to a different phone?? I'm calling shenanigans on this review. I'm sorry PhoneArena, but you shouldn't review one phone and compare it to a phone that it isn't meant to compare to. How is it not meant to compare to the Eris. I know with me and my Hero I compared it plenty to the Moment (the other android device on Sprint)... Many people pick an OS they want then have to weight the pros and cons between the devices offering that OS or experience. Pretty soon the Eris is also supposed to have 2.0 according to HTC so then little differences like battery life do make a huge difference. Also, what other phone should they be comparing the talk time to. At least they picked another Verizon phone. They could have went and said "not as much talk time as a blackberry curve", which would be way out there since Blackberry is a completely different OS and not even a touch screen. I am surprised it only got an 8 when the Sprint Hero got a 9, but I do suppose dropping the battery size really does hurt the phone, and also that the Droid is available on Verizon as well. The Eris is an amazing phone. I have it my wife has the Droid and I dont plan on changing. 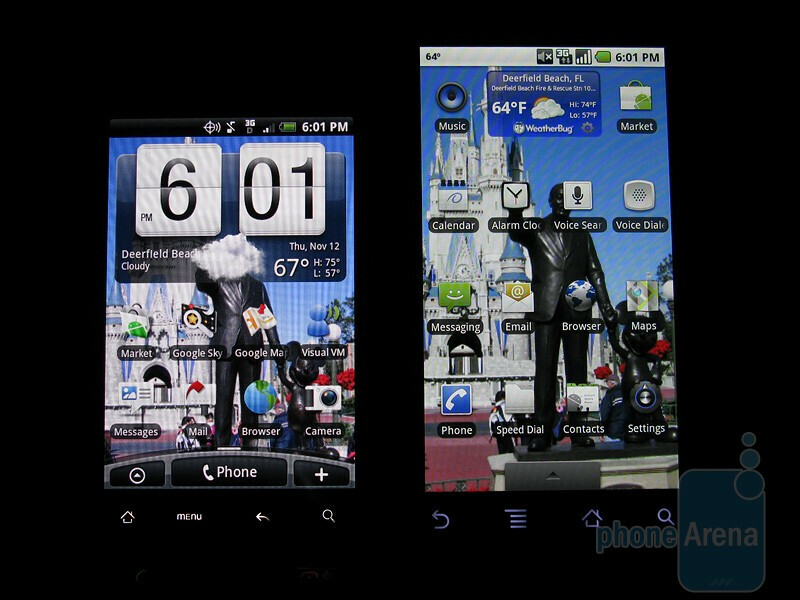 The Droid does have a bigger screen, but the phone is like carrying around a TV remote or something. The Eris slips right into my pocket. The Sense UI to me is better then whats on the Droid. It runs smooth. I use the Advance Task Killer, and use it throughout the day and it helps my battery. 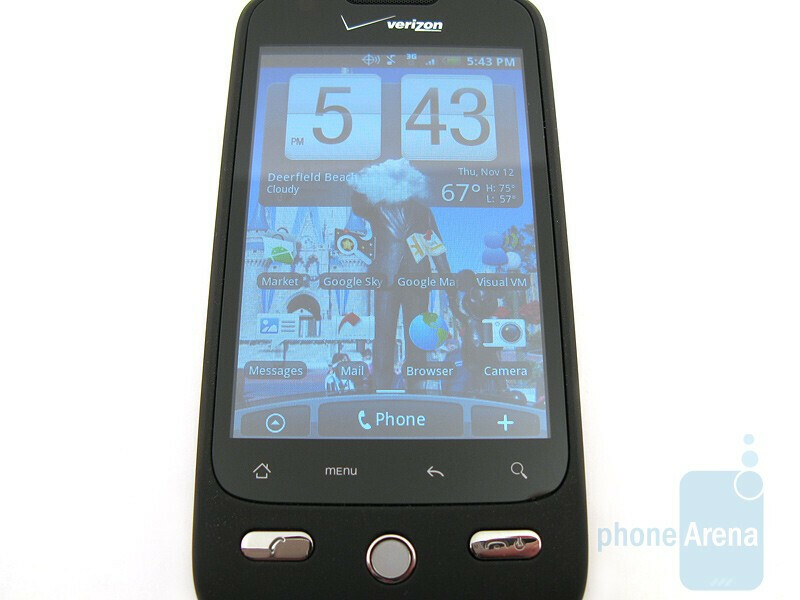 Motorola Droid with Open Home. Best. thing. ever.